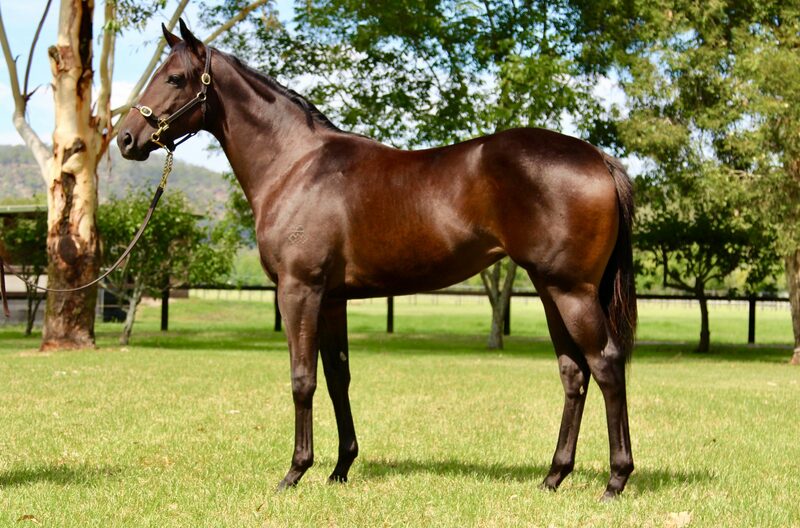 Don't miss this filly by a sire on the up! Don’t miss this filly by a sire on the up! 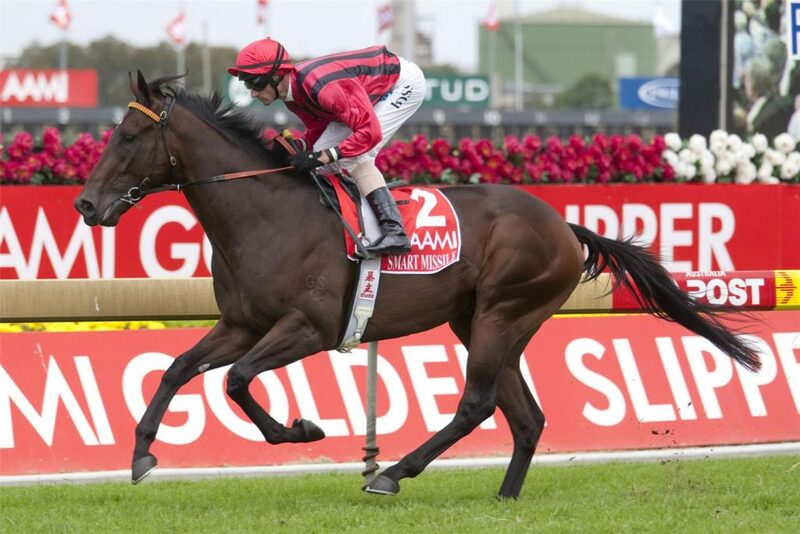 GLEN BOSS described him as “quite possibly one of the best horses I have ever thrown a leg over,” and as if we needed further evidence that the progeny of SMART MISSILE could run – and run quickly – the Champion First-Season sire has had somewhat of a stellar month on the racetrack, in what was a period of black-type and eyecatching performances from his sons and daughters. The son of Fastnet Rock showed exuberance and brilliance in equal measure during his racing career, toppling the previously unbeaten careers of leading juveniles Sepoy and Foxwedge in emphatically taking the Group 2 Todman Stakes, and his unquestionable talent is clearly translating itself to his progeny. Already with more winners than Snitzel at the same stage in their stallion careers, the fast-finishing sprinter scored his first Group 3 success as a sire to add to the Listed triumph of Smart ‘N’ Sassy with further breakthroughs at Stakes level seemingly imminent. The Group 3 victory came courtesy of Debelliatio, who improved from his third at Group 2 level just two weeks before to win the WA Sires’ Produce on April 14. The two-year-old colt took control of what was a slowly-run race to prove a cut above his rivals, winning by two and a half lengths. That success opened the floodgates for a succession of notable performances from the progeny of Smart Missile, with Smart Amelia continuing to knock on the door of a Stakes victory with an unfortunate third place finish in the Group 3 James Carr at Randwick on April 15, with the three-year-old filly forced wide for her run on a day where the track played to those on pace. The leading son of Fastnet Rock boasted two further winners for the week, including two-year-old filly Memory Bank, who backed up her close-up third behind Group 3 Magic Night winner and Golden Slipper third Tulip, with a win at Seymour on April 20. The Lindsay Park-trained filly looks like yet another promising prospect for the Arrowfield Stud stallion, who currently commands a stud fee of $22,000 with an average sales price of $55,000 at this year’s Inglis Classic Sale. Yet with the statistics seemingly suggesting Smart Missile to be heading on a similar path to stallion riches as fellow Arrowfield inmates Snitzel and Not A Single Doubt, those figures will be set to soar. Snitzel now commands a mighty $176,000 at stud, with the average price of his yearlings eclipsing $500,000 at the recent Inglis Easter Yearling Sale in Sydney. With just 15% left in our excellent filly by Smart Missile, ensure you don’t miss out on racing his progeny now! Our filly is from the outstanding family of Group 1 winners Malaguerra, Snitzerland and Aloha as well as Magic Millions 2YO Classic winner Mirror Mirror. With a plethora of further Stakes winners including Tennessee Magic, Tennessee Mist, Tennessee Morn and Tennessee Midnight. And with Peter & Paul Snowden to guide her, she’ll be with the best in the business!